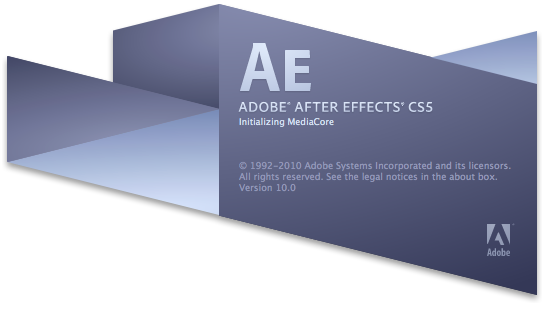 labs: AEae & AERender CS5. . . | andrewANDORU. . .
. . . and AERender have both been updated for After Effects CS5. I worked night and day to make this happen, changing the 4 to a 5 took a good 2 mins out of my life. Once again more time was spent on the new icons. But I must. . . I have tested both with no problems but as usual, if there are any issues or concerns please contact: andoruLABS.support. Also, these apps are free but feel free to donate if you have the means. “Q” versions of all the render droplet apps! With a slight adjustment to the scripts, I have found a way to allow a simple but effective queuing system to all the droplets. Will be available soon. . .
And for the record, RotoBrush is cool and all, but the addition of the FreeForm plugin is HUGE for anyone doing Matte Paintings, nearly all of the bicubic cards (3D point manipulation) functionality of Nuke and the camera controls from Maya equal a 3D workspace that is finally enjoyable to use. Bravo CS5, Bravo. And don’t even get me started about photoshop. Not a problem, definitely check out the Q version of the apps as the workflow is much better now.